For psychotherapists in the early or mid-stage of their careers, who want to grow in analytical technique and core Jungian concepts in clinical practice. In these yearlong case conferences we hope to create a safe and respectful environment in which participants can present their work to each other and to the conference leader. 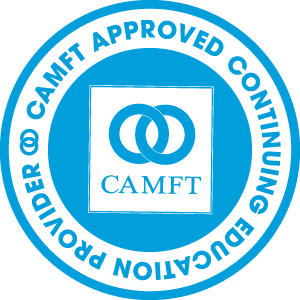 We aim to help each other develop our skills as practitioners of a depth approach. This involves learning how to think symbolically about what is getting evoked and spoken of in the hour, to listen to ourselves and the other, to expand our capacity to listen to the derivatives, and to think about dreams as symbolic communications. We will consider material from both psychoanalytic and Jungian lenses including such concepts as the role of complexes, the purposeful nature of the psyche, individuation and the self. These case conferences are open to psychotherapists of all disciplines who consider themselves in the early or middle stages of their careers, whether they are in private practice, agency settings, or a combination. The small group venue offers a special opportunity to co-create a learning environment which supports and strengthens the skills of each participant in the service of becoming more effective and competent practitioners. Faculty will facilitate multi-week modules, providing one key article per module, focusing on areas of analytic technique and core Jungian concepts with clinical applications. To promote continuity and safety among group members, we ask participants make a commitment to attend regularly. GUY ALBERT, PHD, is a licensed psychologist in private practice with adolescents, adults, and couples in Berkeley, CA. He received his doctorate in Clinical Psychology from the Institute of Transpersonal Psychology (now Sofia University). He is an analyst member of the C.G. Jung Institute of San Francisco, adjunct faculty at JFK University, and a clinical and research consultant. 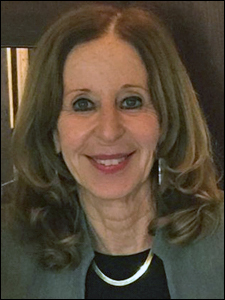 BETSY COHEN, LCSW, PHD, is an analyst member and teacher at the C.G. Jung Institute, is the author of The Snow White Syndrome: All about Envy. Also, The Intimate Self-Disclosure, Emmanuel Levinas and Psychotherapy, Jung’s Answer to Jews, and The Flexible Frame: Holding the patient in mind. Her Welcoming Eros into Analysis brings Plato and the Song of Songs into contemporary psychoanalysis. SETH ROBBINS, MD, is a psychiatrist and Jungian analyst in private practice in San Francisco and Berkeley, CA. MARK SULLIVAN, PHD, MFT, is an analyst member of the C.G. Jung Institute of San Francisco where he teaches in the analyst training program, the program for professionals and public programs. He has published in the Journal of Analytic Psychology on analysis and initiation, as well as in The San Francisco Library Journal now Jung Journal: Culture and Psyche. Dr. Sullivan practices in Oakland, Calif., where he sees individual adults, children adolescents and couples. The C.G. Jung Institute of San Francisco designates this live activity for a maximum of 50.75 AMA PRA Category 1 Credit(s)™ Physicians should claim only the credit commensurate with the extent of their participation in the activity. CEUs will be applied periodically following a review of attendance sheets and only after both the post-test and course evaluation have been completed. Brief Bio : GUY ALBERT, PHD, is a licensed psychologist in private practice with adolescents, adults, and couples in Berkeley, CA. He received his doctorate in Clinical Psychology from the Institute of Transpersonal Psychology (now Sofia University). He is an analyst member of the C.G. Jung Institute of San Francisco, adjunct faculty at JFK University, and a clinical and research consultant. 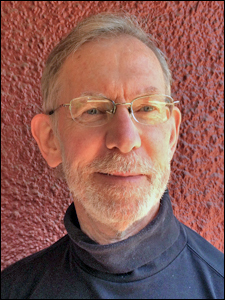 Brief Bio : Seth W. Robbins, MD is a psychiatrist and Jungian analyst in private practice in San Francisco and Berkeley.